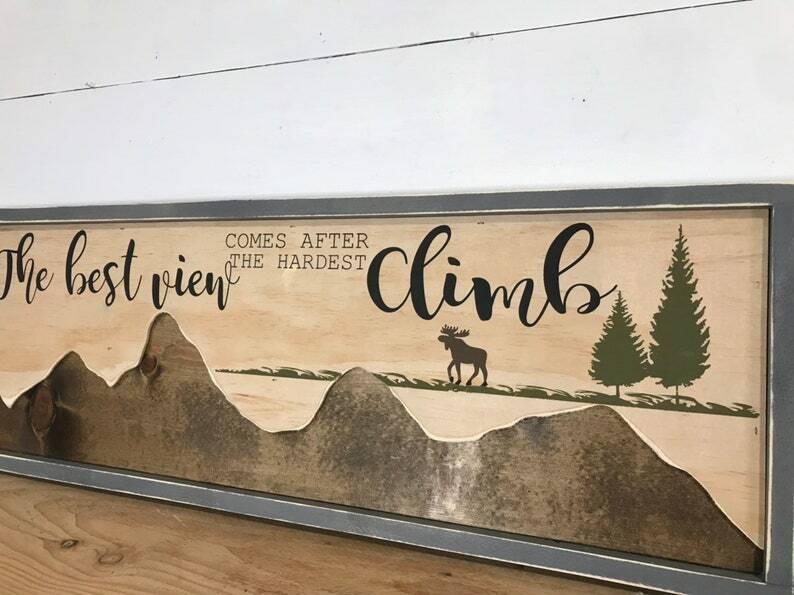 This rustic hand painted and hand cut mountains sign to add charm to the travel, adventure or nature themed decor! The mountains are hand cut and layered on top of the distressed framed pine to give a textured 3D effect and rustic look. This listing is for what’s pictured, a walnut stained on a pine board with grey frame and raw hand cut mountains. They are hand painted and any knots, cracks, staples, or imperfections are a natural part of the uniqueness of raw wood and charm of handmade. 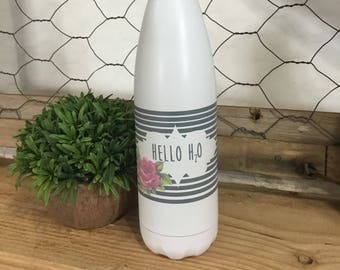 Sign usually ships in 2-3 weeks but let us know if you need it sooner and we will do our best to accommodate your date.